The sequel to our hit game "Water Bottle Flip Challenge 2" with over 1.5 million downloads! Think you can take on the Impossible Bottle Flip? Download now to find out! Tap to flip through the room onto ordinary household objects to get to the finish, just don't fall off! 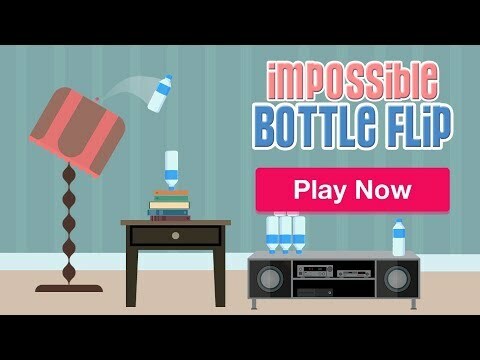 Conquer 15 impossible levels on your way to becoming a bottle flipping master.